Do you feel tired of the hustle and bustle in the cities? Are you nuts about natural scenery? Have you ever conquered a summit more that 5000m? You should have dozens of reasons to persuade yourself to join in our adventure: affordable time + reasonable price = summit a safe snow-clad peak! Mt. Siguniang (or Four Girls Mountain) has four peaks, including Fourth Girl (6250m), Third Girl (5355m), Second Girl (5276m) and First Girl (5025m). What you about to conquer here is the first peak and the second one. 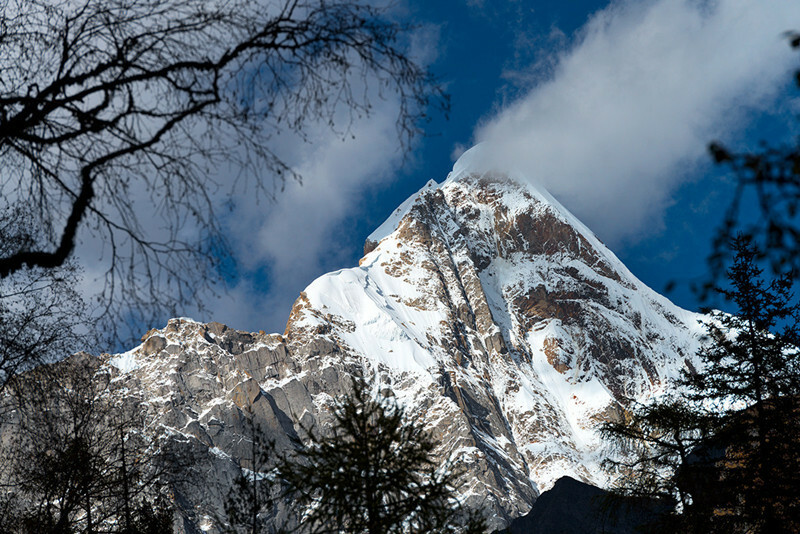 Hike to two 5,000+ meters snow-capped peaks in Eastern Tibet area. Excellent safety guarantee measures for emergency situations with a quick response. 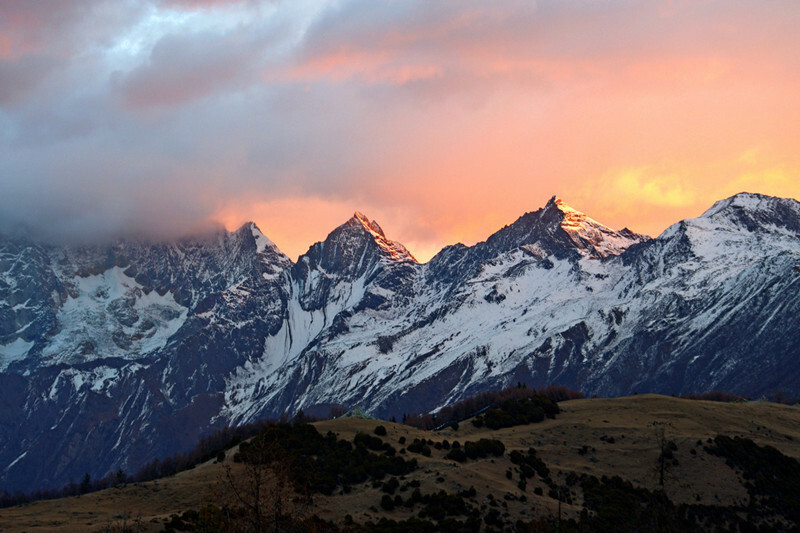 Be accompanied by our professional mountain guide. Meet your driver, and head to the Rilong town which is located on the foot of Mt. Siguniang. You will pass Dujiangyan, Wolong Panda base. Continue driving to Mt. Siguniang. Have lunch at the mountain foot. In the afternoon, you will be reaching 4500M height on Balangshan mountain pass. 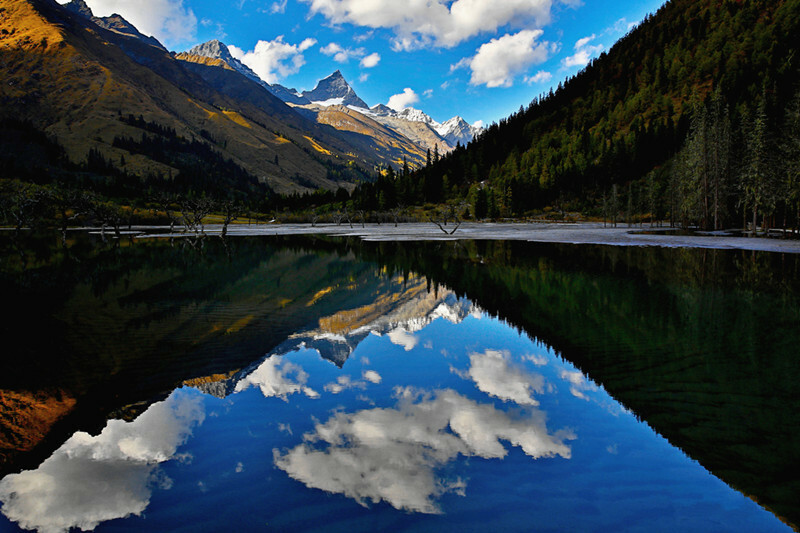 On Balangshan, you will have big chances to see wild life and magnificent view of series of snow peaks and “cloud sea”. After passing the Balangshan pass, you will be arriving the best view point of Mt. Siguniang shortly. From the Maobiliang view point, you can get a whole picture of Mt. Siguniang all four peaks. You will be arriving the hotel in the afternoon at Rilong town. Have some rest in hotel and acclimate the high attitude here. 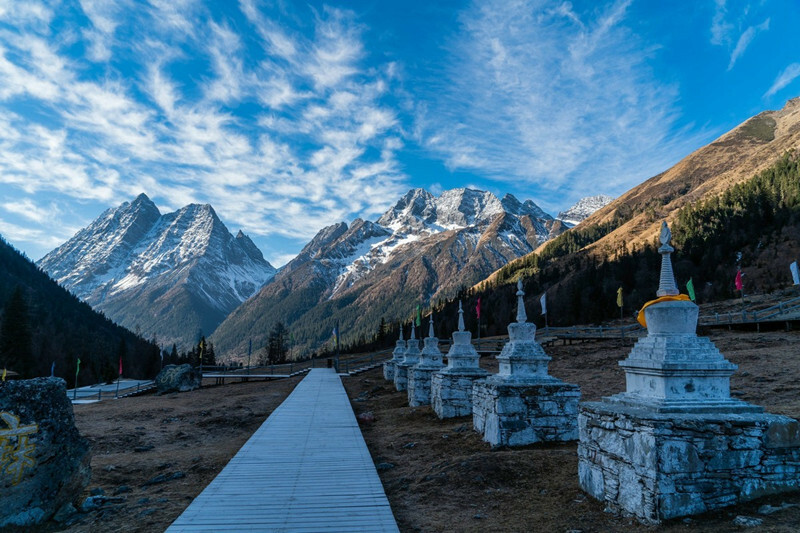 Trek from Rilong to the Base Camp of the first peak along Haizigou Gully, whose main landscape is alpine meadows and lakes. Your horse will carry the tents and sleeping bags and other heavy stuff for you. So you will not carry too much when walking in an attitude more than 4000m. After your arrival in base camp, your horseman will set up the camp and cook for you. Trek from the BC to first Peak summit (5025 M). Today you will trek into an even higher attitude, so your pace will be slower. When we reach the summit of first peak, we climb down and continue to trek about 1.5 hours to reach the BC of the second peak and have a rest. Try to reach the summit of the Second peak (5276m). Climb down to Rilong. Morning after breakfast, take about 4 hours back to Chengdu. Tour ends. Climbing guide, Climbing assistant, Entrance fare, Climbing permit and horse to carry equipment. Professional English speaking guide. Local climbing guide could speak simple English. If you to hire English speaking guide with you, please inform us. Personal equipment: sleeping bag, climbing boots, rain proof jacket etc.